Two islands which were once part of the super-continent Gondwana have been discovered on the floor of the Indian Ocean about 1,600 kilometres west of Perth. Two sunken islands almost the size of Tasmania have been discovered in the Indian Ocean west of the Australian city of Perth. The researchers who found the islands during a recent sea voyage think that they were once part of the ancient supercontinent of Gondwana, which could have ramifications for our understanding of how that giant landmass broke apart. "The data collected on the voyage could significantly change our understanding of the way in which India, Australia and Antarctica broke off from Gondwana," said team member Joanne Whittaker, a postdoctoral fellow at the University of Sydney. The finding can change our understanding of the way in which India, Australia and Antarctica broke off from Gondwana. The islands were found during a three-week voyage to map the seafloor of the Perth Abyssal Plain that concluded last week. Travelling on the Commonwealth Scientific and Industrial Research Organisation (CSIRO) vessel Southern Surveyor, the scientists discovered the islands through detailed seafloor mapping and by dredging rock samples from the steep slopes of the two islands that now are covered by about a mile (1.5 kilometers) of ocean water. 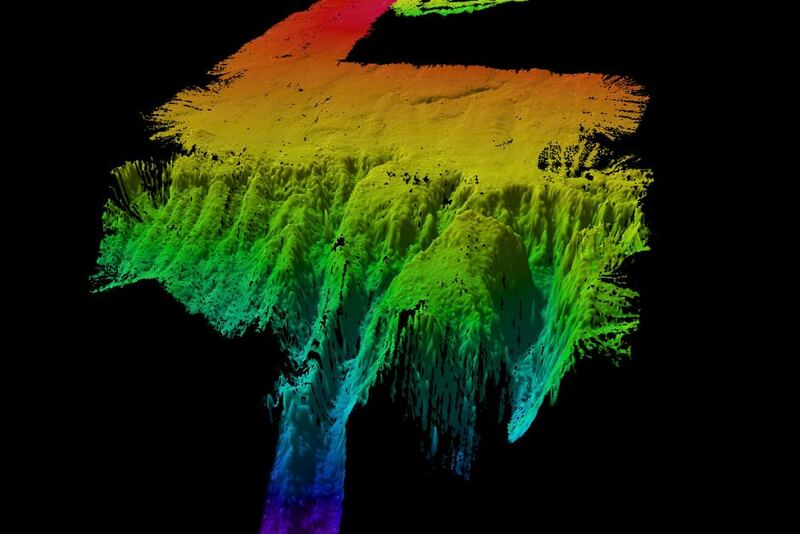 "The sunken islands charted during the expedition have flat tops, which indicates they were once at sea level before being gradually submerged," Whittaker said in a statement. The rocks retrieved from the islands also surprisingly suggested the islands weren't always underwater. "We expected to see common oceanic rocks such as basalt in the dredge, but were surprised to see continental rocks such as granite, gneiss and sandstone containing fossils," said chief scientist for the expedition Simon Williams, also of the University of Sydney. The makeup of the rocks suggests how the islands might have fit into the breakup of Gondwana: In the Cretaceous period when dinosaurs roamed the Earth (more than 130 million years ago), India was adjacent to Western Australia. Eventually these islands, referred to as "micro-continents" by scientists, were separated from both landmasses and stranded in the Indian Ocean, thousands of miles from the Australian and Indian coasts, the scientists suggest. "A detailed analysis of the rocks dredged up during the voyage will tell us about their age and how they fit into the Gondwana jigsaw," Williams said. The implications of the detail to be found from these islands goes beyond a finer-tuned picture of Gondwana's dismantling: "Our preliminary analysis of the magnetic data that we collected could cause us to rethink the whole plate tectonic story for the whole of the eastern Indian Ocean," Whittaker said, who was unable to sail on the voyage due to the recent birth of her baby. Researchers from Macquarie University and the University of Tasmania also participated in the expedition. 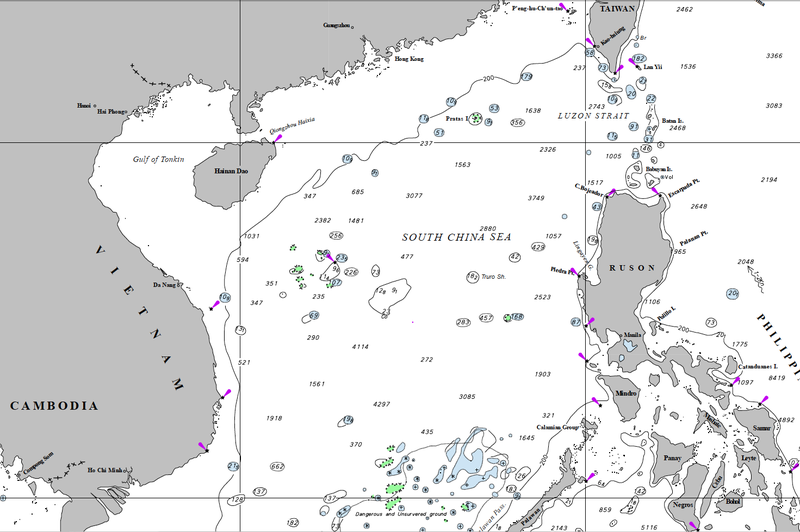 Recently, freedom of navigation in the South China Sea has often been talked about in the media. Few people, however, have taken the trouble to explore its original meaning. In fact, freedom of navigation is not a label that can be used randomly. It is a legal rule, which was established centuries ago based on economic, social and political demands and circumstances. The oceans, which cover 70 percent of the Earth's surface, are important channels of communication for peoples on different continents. Therefore, the idea that the oceans must be kept open and free reflects the simple desire of human beings to communicate and trade with one another. In 1609, Hugo Grotius, a Dutch jurist who is known as "the father of international law", published his book Mare Liberum (The Free Sea), which formulated the notion of the freedom of the seas. He developed this idea into a legal principle. According to his view, everyone had a right under international law to sail freely and trade with others. Grotius' doctrine was in support of Dutch trade with East India via sea routes. Britain was the Netherlands' main maritime rival and a counter "closed sea" theory was proposed by the Englishman John Selden. However, Grotius was the winner of this debate, as freedom of the seas finally became a universally recognized legal principle, as it went hand in hand with key words such as communication, trade and peace, and was inseparable from being fair and open, and was in the interests of human society as a whole. As oceans have become more utilized by people, the principle of freedom of navigation has been developed in international law. "Every State, whether coastal or land-locked, has the right to sail ships flying its flag on the high seas". UNCLOS also states in Article 87 that "freedom of the high seas is exercised under the conditions laid down by this Convention and by other rules of international law" and "these freedoms shall be exercised by all States with due regard for the interests of other States in their exercise of the freedom of the high seas". These provisions indicate clearly that freedom of navigation has evolved from an abstract concept and absolute norm into a body of specific rules with certain conditions under international law. In accordance with the current international law of the sea, freedom of navigation is mainly applicable to the high seas and Exclusive Economic Zones of coastal states. However, the world hasn't forgotten to accommodate passage through other ocean spaces. Thus the rule of "innocent passage" was adopted with regard to the territorial seas of coastal states and "transit passage" for straits used for international navigation. These three principles together guarantee the navigational rights of all states. Since 2005, the United Nations General Assembly resolutions on oceans and the law of the sea by repeatedly using exactly the same text call upon states to ensure freedom of navigation, the safety of navigation and the rights of transit passage and innocent passage. This demonstrates that freedom of navigation has obtained broad, consistent and ever-lasting consensus among the international community. Freedom of navigation is essentially a right of an independent and open nature, which means that exercising the right of freedom of navigation does not generate, nor depends upon, any other right. As Grotius wisely declared, "no man is ignorant that a ship passing the seas leaveth no more right than the way thereof." Therefore, freedom of navigation has no bearing on disputes among countries concerning maritime sovereignty, sovereign rights and jurisdiction over certain sea areas. Any attempt to force a connection between these two issues will only restrict freedom of navigation and undermine its independent and open nature. However, even as a legal rule, freedom of navigation does not operate in a vacuum and it has inevitably encountered problems in its application. For example, the Proliferation Security Initiative, which was sponsored by the United States and other countries, is challenged by some countries on the grounds that the initiative contravenes UNCLOS, in particular its provisions relating to freedom of navigation and the right of innocent passage. Compulsory pilotage, exercised by some countries in their straits, is also questioned by some countries for its non-conformity with the provisions of UNCLOS regarding transit passage in the straits used for international navigation. Of course, the above controversies are far from overthrowing the principle of freedom of navigation itself. In reality, the challenges to freedom of navigation come from those specific problems affecting safety of navigation. One category consists of technical problems, including maritime accidents and pollution incidents that block shipping lanes. Another category consists of non-traditional security threats, including piracy, armed robbery against ships and terrorist activities on the sea. The most fundamental and effective way to safeguard freedom of navigation is to enhance cooperation in these fields. The international legal regime governing maritime safety is already in place, with the International Maritime Organization playing a central role that is widely recognized by the international community. At the regional level, many effective cooperation initiatives have also been carried out, such as the Cooperative Mechanism for the Straits of Malacca, initiated by Singapore, Malaysia and Indonesia, and the Regional Cooperation Agreement on Combating Piracy and Armed Robbery against Ships in Asia. There is no doubt efforts in these fields can be strengthened. It can be concluded then, that freedom of navigation consists of a complete and mature set of international legal rules, which have already obtained universal acceptance, and has nothing to do with disputes over maritime sovereignty and jurisdiction. Also, efforts to maintain freedom of navigation shall be cooperation in the technical and non-traditional security areas. When people talk about freedom of navigation in the South China Sea, they always connect freedom of navigation with the South China Sea disputes. Freedom of navigation has even become grounds for some countries to call for "establishing rules" by "a multilateral mechanism" to "regulate" the conducts of certain states. It is questionable whether the purpose of this idea is to maintain or to restrain freedom of navigation. Or are there some other motives? Sea life "must swim faster to survive"
“We examined the velocity of climate change (the geographic shifts of temperature bands over time) and the shift in seasonal temperatures for both land and sea. Team member Associate Professor Anthony Richardson from the School of Mathematics and Physics at the University of Queensland became interested in how species might respond to climate change during his work on a global synthesis of marine climate impacts. As a general rule, it seems sea life will have to move a lot faster and farther to keep up with temperature shifts in the oceans. This applies especially to fish and marine animals living in the equatorial and subarctic seas, and poses a particular issue both for conservation and fisheries management. However, as a rule, they are likely to be as great or greater in the sea than on land, as a result of its more uniform temperature distribution. “Also, as seas around the equator warm more quickly and sea life migrates away – north or south – in search of cooler water, it isn’t clear what, if anything, will replace it,” Prof Pandolfi adds. The team’s future research will focus on how different ocean species respond to climate change and they are compiling a database on this for the Intergovernmental Panel on Climate Change (IPCC). Tackling the science behind the headlines, Liz journeys to meet a US scientist who is developing his own controversial solution to solving the world's energy crisis. Craig Venter, one of the first people to sequence the human genome, is working to create the first generation of artificial life. Microbes will be the (human) food- and fuel-makers of the future, if J. Craig Venter has his way. The man responsible for one of the original sequences of the human genome as well as the team that brought you the first living cell running on human-made DNA now hopes to harness algae to make everything humanity needs. All it takes is a little genomic engineering. "Nothing new has to be invented. We just have to combine [genes] in a way that nature has not done before. We're speeding up evolution by billions of years," Venter told an energy conference on October 18 at the New America Foundation in Washington, D.C.
"It's hard to imagine a part of humanity not substantially impacted." The goal was to harvest the building blocks of the future for a biology that has been converted from the bases A, C, G and T into 1's and 0's—a digitized biology. He found that most of the millions of genes collected came from algae, one of the tinier organisms on the planet but one that already has an outsized planetary impact, providing more than a third of the oxygen we breathe. Venter is looking to boost that impact further. His reengineered photosynthetic cells would take in carbon dioxide and sunlight and spew out hydrocarbons ready for the ExxonMobil refinery (the oil giant that has provided Venter's company Synthetic Genomics with $300 million in funding to date). In the process, the algae will turn a problem—CO2 causing climate change—and transform it into a solution—renewable fuels and slowed global warming. "Trying to capture CO2 and bury it is just dumb; it's going to be the renewable feedstock for the future," he said. His commercial enterprise, Synthetic Genomics, has now also formed a new company with Mexican investment firm Plenus dubbed Agradis. Given algae's multibillion-year track record with photosynthesis and genetic experimentation Agradis's purpose is to turn that genetic cornucopia into improvements in agricultural crops, whether corn or canola—as well as use algae as a model for testing various new genetic combinations. A similar partnership between Monsanto and algae company Sapphire Energy will "use our algae platform that we developed to mine for genes that can transfer into their core agricultural products," explained Tim Zenk, Sapphire's vice president for corporate affairs in a prior interview with Scientific American. "When you do genetic screening in algae, you get hundreds of millions of traits in the screen and that accelerates the chances of finding something that can be transferred." If that's not enough, Venter sees a role for synthetic biology in food beyond crops and livestock—specifically the growing hunger for meat around the world. "It takes 10 kilograms of grain to produce one kilogram of beef, 15 liters of water to get one kilogram of beef, and those cows produce a lot of methane," another potent greenhouse gas, Venter observed. "Why not get rid of the cows?" The replacement: meat grown in a test tube from microbes thanks to synthetic biology. It's not likely you'll be buying microbial meat in the immediate future, but it's also clear that biology should not be overlooked as a font of solutions for that future. "The problem with existing biology is you change only one or two genes at a time," he noted of today's genetic engineering. "We're building a robot to make a million chromosomes a day and be self-learning. … The only limitation is our knowledge of biology." Scientific American spoke with Venter about his hopes for algae and synthetic biology. Looking at the yield of different agricultural crops, none of them is very impressive compared with what needs to be done [to replace oil]. Then you look at the potential output from algae, and it's one to two orders of magnitude better than the best agricultural system. If we were trying to make liquid transportation fuels to replace all transportation fuels in the U.S. and you try and do that from corn it would take a facility three times the size of the continental U.S. If you try to do it from algae, it's a facility roughly the size of the state of Maryland. One is doable and the other's just absurd, but we don't have an algae lobby. It's been tried before, going all the way back to the turn of the last century. It's not a new notion to use algae to try to do something. But nobody's achieved the necessary level of production. Everybody is looking for a naturally occurring algae that is going to be a miracle cell to save the world and, after a century of looking, people still haven't found it. The [genetic] tools give us a new approach: being able to rewrite the genetic code and get cells to do what we want them to do. Everybody trying to grow stuff has all the same challenges. On the growth side, what we're doing with the [Synthetic Genomics] Exxon program, we're actually testing every technology on the growth side. Then there's the cell biology side, the manufacturing side. How do you manufacture on the scale of multiple–square-mile facilities and billions of gallons of liquid hydrocarbons that can go into ExxonMobil refineries? Half the money of the $600 million on the table is going to major engineering tests and concepts. It's just the size, the expense—billion-dollar–plus facilities. Getting algae that are really robust and can withstand true industrial conditions on a commercial basis. You can't afford to shut down a plant for contamination. Most algae growers have to do that at a fairly frequent pace. We don't claim to have instant answers. We are talking a systematic scientific approach to trying all the past technologies and new ones with new twists. The thing that will make the difference is the engineered cell, cells that can produce 10 to 100 [times] as much. The same genetic engineering and genome engineering we have, we can make cells that are resistant to viruses. The scientific breakthrough that we made early—that attracted Exxon—we engineered [a] cell to pump hydrocarbons out of the cell. Algae is a farming problem: growing, harvesting, extracting. It's a work in progress, and we're working hard. We don't have the final answer to anything. We're evaluating thousands of strains and large numbers of genetic changes. The long-term solution is to make the entire genetic code from scratch and control all the parameters. To us, this is a long-term plan. We're not promising new fuel for your car in the next 18 months. So how long would it take before people can gas-up with algae fuel? The time it takes to build a large-scale facility to produce billions of gallons; it takes three to four years just to build the facility once we know what to build. There's a lot of what I call bio-babble and hype out there from a lot of bioenergy companies. Nobody has the yields, that I'm aware of, to make it economical—and, if it's not economical, it can't compete. It's going to be the ones with scientific innovation and deep-pocket partners that can see to making the long term investment to get someplace. How will you get nutrients, such as phosphorus and nitrogen, to stimulate algae growth? We need three major ingredients: CO2, sunlight and seawater, aside from having the facility and refinery to convert all those things. We're looking at sites around the world that have the major ingredients. It helps if it's near a major refinery because that limits shipping distances. Moving billions of gallons of hydrocarbons around is expensive. But refineries are also a good source of concentrated CO2. It's the integration of the entire process. [Synthetic Genomics] is not trying to become a fuel company. You won't see SGI gas stations out there, we're leaving that to ExxonMobil. We will help them shift the source of hydrocarbons to material recycled from CO2. What about water? Algae would need a lot of it to grow. Novel technologies for recycling wastewater [like microbial fuel cells]. Water is a problem, recycling it and capturing back all the nutrients. If you have to add tons of fertilizer per acre you're not really solving anything. There are 500 different parameters in the cells and in the systems. Absolutely, algae is the bigger challenge. I did [the human genome] in nine months. This is definitely a bigger challenge. It also has a lot bigger implications for the world if we're successful. How will synthetic biology play a role? Genome design and genetic code synthesis play a huge role. We need to control all those parameters. I doubt there's any naturally occurring cell that would combine all those in an optimal fashion. It wouldn't have any value in terms of natural evolution. We have to make it happen and do it synthetically with our programs. The synthesis side of it is no longer a challenge. The cell we started with is a goat pathogen. It has 1.1 million base pairs. Some of the simpler algae are not even twice that size. We can routinely make chromosomes in megabase size range. Synthesizing is no longer the rate limiting step of this problem. The state of biological knowledge in the world is so limited. Even those Mycoplasma cells with less than 500 genes, there are still 200 genes of unknown function in that cell. There is not a living system where we understand even most of the genes in the cell and what they all do. That's our biggest challenge: overcoming the limits of biological knowledge at this point. Now what we know because of our synthetic cell is that once we are able to design what we want, we can build it. That's not something we knew five years ago. The largest piece of synthetic DNA was 30,000 base pairs. Now we're making these large constructs and being able to do something with them to test the biology. Tell me about the two-year Sorcerer II cruise, where you sampled a huge amount of ocean DNA—so large that you concluded you found 95 percent of all genes known to science. We didn't know at that time we would end up in the algae business. We sampled in fact by just looking at the genetic code to understand what was out there. We have a broader view than almost anybody about the diversity of genetics and algae around the planet. That's why we're not so sanguine about finding the magic bug out there to do everything. Those 50 [million] or 60 million genes that Sorcerer II has discovered are the design components of the future. Why do this? What's the motivation? The bad cliché is: we're all in the same lifeboat. If somebody takes a power drill and drills a hole in the bottom of the boat, we're all screwed. The changes to the atmosphere and the changes to the resources we have on this planet from depleting our resources and taking carbon out of the ground is something, regardless of somebody's politics—you can't keep doing that long-term. Even the ones not smart enough to know the science and the implications of it are smart enough to know the world is shifting to some type of tax on carbon. Sooner or later, the oil and coal industries won't have any choice. The forward-looking companies are trying to get a real jump on that now. None of these solutions are things you just pick up a book and find the solution. What is government's role in pushing sustainable solutions? It should be trying to be a whole lot smarter, which is maybe asking too much of government. If we're successful and others are successful in producing alternative sources of hydrocarbons for fuels, eventually we could be shifting the supply and shifting the demand for oil. The consequence of doing that would be we would be constantly dropping the price of our key competitor. Governments are going to play a critical role in this working. If governments don't constantly put a higher price on carbon as CO2-based fuels emerge, it'll be like the Jimmy Carter era, where all kinds of things got started and the price of oil crashed again. In the past scientists have spent a lot of time trying to make algae produce oil or solve other problems, most famously at the National Renewable Energy Laboratory [pdf]. But the government shut down that program in the 1990s, concluding algae would not be able to compete with oil, due to the expense of systems to grow it, nutrient needs and other hurdles. Given algae's checkered past, what makes you confident of success? It's like the claims of arsenic-eating bacteria: people making extraordinary claims have the obligation to provide extraordinary evidence that their claims are true. I like to win arguments by having the data. Right now, nobody has the data in any of these fields. We have some new tools to approach these same problems. Algae has had a lousy history. There is no guarantee we will succeed either. Jimmy Cornell, experienced sailor and bestselling author, has launched a new product that is already being greeted with great enthusiasm by sailors worldwide. The founder of the Atlantic Rally for Cruisers, noonsite.com and author of the sailor’s bible World Cruising Routes (book) has teamed up with his son Ivan to produce Cornell’s Ocean Atlas, an atlas of 129 up-to-date pilot charts aimed at sailors planning offshore voyages. The charts in Cornell’s Ocean Atlas are based on the most recent weather data gathered by meteorological satellites over the last twenty years. 60 monthly pilot charts of all oceans for the world show wind speed and direction, current speed and direction, approximate extent of the Intertropical Convergence Zone, the most common tracks of tropical storms, and the mean location of high pressure cells for each hemisphere. 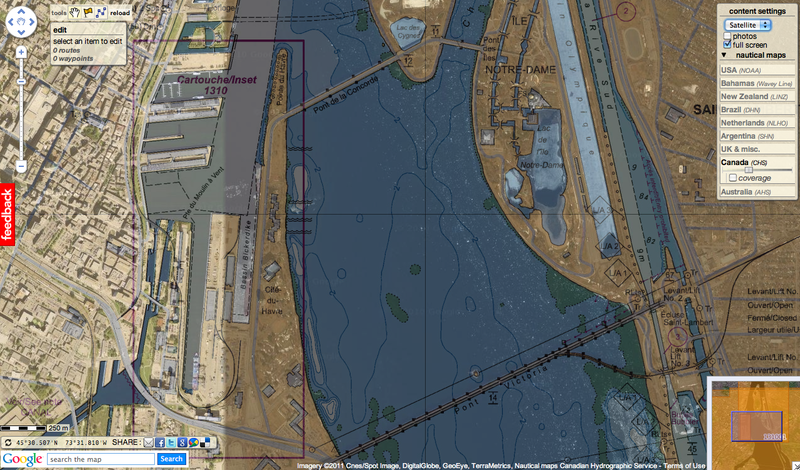 69 detailed charts of the most commonly sailed transoceanic routes make it easier for cruising sailors to plan a route that takes best advantage of the prevailing weather conditions at that time of year. Sidebars with tactical suggestions have been added to the months when most passages are undertaken. The comments and tips on tactics, as well as weather overviews for each ocean, were contributed by meteorologists and routers specializing in those oceanic areas. Cornell’s Ocean Atlas will be available in the US in January 2012 from this website (www.cornellsailing.com), Cruising World magazine, Paradise Cay Publications, and at Sail America’s Strictly Sail boat shows in Chicago in January, Miami in February, and Oakland, CA in April, 2012. The atlas will be officially launched at Strictly Sail Chicago in January 2012 where Jimmy Cornell will offer his popular Long Distance Cruising Seminar plus shorter seminars on a broad range of cruising topics. Pilot charts, also referred to as routing charts, have been the most important passage planning tool since the middle of the nineteenth century. The first systematic study of ships’ sailing routes, and the weather conditions that affect them, was undertaken in the 19th century by Lieutenant Maury of the US Navy with the aid of shipmasters’ logbooks. Much of the information contained in the pilot charts that are in use today is still based on those observations and, although they have been updated at regular intervals, the scarcity of reliable sources, inaccuracy of the observations, or the climate changes that have occurred over the years, have rendered some of the information shown on those charts to be now inaccurate. To present as true a picture as possible of the actual conditions which prevail in today’s oceans, the charts in Cornell’s Ocean Atlas are based on extensive data collected by meteorological satellites from 1987 to the present. This data was processed by Ivan Cornell, whose programming experience has made both noonsite.com and this atlas possible. Sailors who have consulted advance copies of the atlas are describing it as ground-breaking for its content, but also for its organization and layout, which reflect Jimmy Cornell’s unmatched world voyaging experience. The scale and range of charts are carefully chosen so that sailors can see all the relevant information and plan their passages on a single chart. The little Japetella heathi octopus can switch from transparent to opaque in an instant, enabling it to hide from bioluminescent predators. Scientists have discovered how two marine creatures are able to rapidly "switch" their colours - from transparent to reddish brown. The species, an octopus and a squid, use their adaptable camouflage to cope with changing light conditions in the deep ocean. The creatures' skins respond light that deep-sea predators produce to illuminate their prey. Sarah Zylinski and Sonke Johnsen from Duke University in North Carolina, US, carried out the research. They say this switchable camouflage allows the animals to hide more effectively in their uniquely gloomy marine environment. When sunlight diffuses evenly through the water, it passes through transparent animals too, rendering them almost invisible. But, as Dr Zylinski explained, "transparent tissues are actually quite visible when you shine a light directly on them". And this is exactly what many deep-ocean predators do. LED lights similar to predator's bioluminescent "spotlights" trigger red pigment. Prof Michael Land, a biologist from the UK's University of Sussex explained that by a depth of 600m, sunlight fizzles out, and hiding becomes much trickier for prey animals. This is the depth at which the octopus Japetella heathi and the squid Onychoteuthis banksii live. Prof Land told BBC Nature: "[At that depth], you have all these nasty fish that are trying to illuminate you, so it's best to be a dark colour." These "nasty" predatory fish are equipped with light-producing organs that function as biological headlamps. To cope with this, the two creatures the scientists examined have evolved a clever way to hide. Having already seen the two creatures in their two different colour states, Dr Zylinski and Dr Johnsen wanted find out how they switched between the two. To do this, they had to examine the animals more closely, so they set out to capture them from deep-ocean trenches in the Pacific. With special nets that held the animals in the cold water from the deep, the team managed to bring the two species on board their research vessel. To test the animals' camouflage, the scientists simply shone a blue light onto them and watched their reactions. Most of the time, the Japetella heathi octopus is transparent. "The really striking thing was the speed of their response," said Dr Zylinski. "We shone a light on them and they would immediately switch from transparent to pigmented." The animals' skins contain light-sensitive cells called chromatophores, which contain pigments. When these cells detected the blue light of a bioluminescent predator, they immediately expanded, "dyeing" the animal a deep brown colour. Dr Zylinski said the this dramatic colour change showed just how important camouflage was "in a habitat where there is nowhere to hide". Neither transparency nor pigmentation is a complete solution to the hunting strategies used by predators in the deep ocean, she explained. "By switching between these two forms, these cephalopods are able to optimise their camouflage in response to the optical conditions at that moment in time." Dr Zylinski said studying camouflage gave a wonderful insight into how animals perceive their world very differently from humans. The Rosenfeld Collection, acquired in 1984 by Mystic Seaport, is one of the largest archives of maritime photographs in the United States. This Collection of nearly one million pieces documents the period from 1881 to the present. Images are captured in a variety of formats, from glass plate negatives to color transparencies, and from glossy prints to photographic murals. The Collection represents the evolution of photographic technology and developments in the maritime industry over the last century. The Rosenfeld Collection is built on the inventory of the Morris Rosenfeld & Sons photographic business, which was located in New York City from 1910 until the late 1970s. The firm grew as Morris' sons David, Stanley, and William joined the business. Although they became famous as yachting photographers, the early work of the Rosenfelds included assignments for such firms as the New York-based entities of the Bell System (currently known as AT&T, Western Electric, and Bell Telephone Laboratories) from the 1910's through the 1940's. Even though the Rosenfelds maintained a busy schedule, they always made time for yachting photography. As a result, the America's Cup Races are fully represented from 1885 to 1992. The early America's Cup images, from 1885 to 1910, are from separate collections acquired by Morris Rosenfeld. These collections of remarkable glass plate images are the work of Arthur F. Aldridge, Charles Edwin Bolles, James Burton and Edwin J. Carpenter. It should be noted that these collections also contain images of subjects as varied as socialites participating in leisure activities, steam yachts, battleships, and riverboats on the Ohio River. The America's Cup races, starting in 1920, were exhaustively covered by the Rosenfelds themselves. 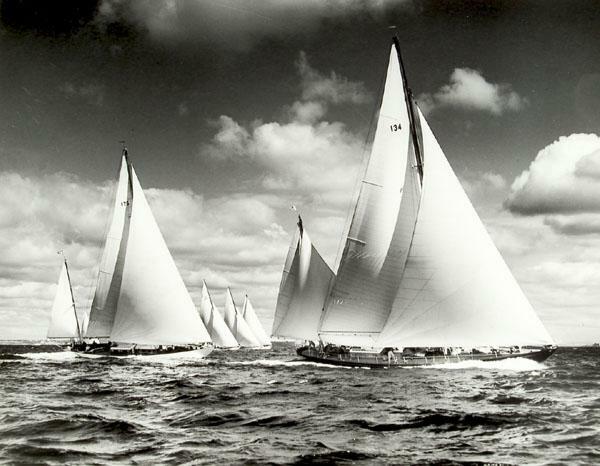 As a family of photographers, they quickly became a part of the America's Cup tradition. 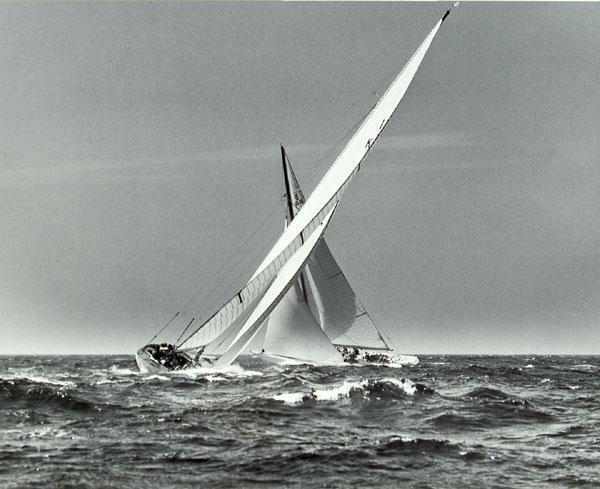 The respect they received from some of the greatest yachtsmen of the day gave them unusually close access to races, and the result is a remarkably dynamic and often intimate view of the sport. A broad spectrum of competitive sailing is also reflected in the Rosenfeld Collection. Images of children participating in sailing lessons are housed next to views of maxi-boats competing on the international circuit. The world of powerboating, both competitive and recreational, received equal attention from the Rosenfelds. The development of powerboat racing in America is chronicled in the Collection. Of particular interest to powerboat historians is the Collection's extensive coverage of early Gold Cup and Harmsworth Trophy Races. Due to the chronological arrangement of the negatives in the Collection, the evolution of sail, hull and engine design across the span of more than a century can be observed by the researcher. Today, the Rosenfeld Collection is stored in a climate-controlled vault in the new Mystic Seaport Collections Research Center. Image content as well as photographers' notes from the prints and the negative sleeves are currently being catalogued and entered into the museum's computer data base. Approximately ninety-seven thousand images have been catalogued by Rosenfeld Collection staff, assisted by volunteers. Sixty-seven thousand images, captured from both prints and negatives, are available in video disc form for research purposes. Currently the Rosenfeld Collection staff is involved in the preservation of negatives and prints. The goal is to transfer all of the historic images, many of which are presently in acidic storage housing, into archival storage containers. This task will help to retard the deterioration common to all photographic materials. Mystic Seaport encourages the use of the Collection for research purposes. Inquiries are handled through staff researchers by letter, fax, email, or scheduled office appointment. Fees are charged for research services. Reproductions of Rosenfeld images are available to the public, for both personal and commercial uses. Prints generated by the Mystic Seaport Photography Department are used for a variety of purposes, including book illustrations, corporate brochures and promotions, exhibitions, and personal and scholarly research. Print reproduction fees and image use fees for commercial uses, will be quoted upon request. Rosenfeld Collection images are also available for exhibitions and permanent installations. Selections from an inventory of over one hundred and forty 16" x 20" matted and framed photographs are available for exhibitions and traveling shows. Please note that Rosenfeld Collection fees and reproduction revenue go into a Museum fund for the preservation of the existing collection.